I’ve discovered that I love a game that can give me indefinitely long sessions of heavy action followed by indefinitely long sessions of thoughtful, deep customization and tinkering with stats. 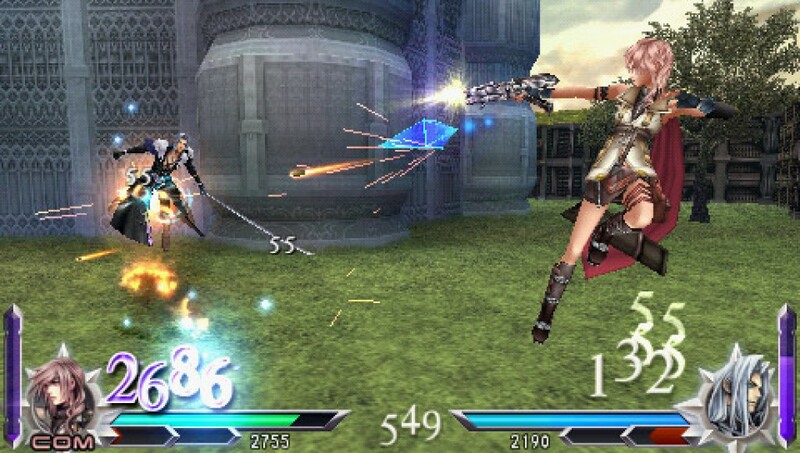 This is an extremely specific sub-genre that Dissidia fits nicely. The punchy yet tactical fighting game portions never get old for me, and the tweaking of characters with equipment, abilities and accessories is such a deep rabbit hole I imagine I could keep playing this till I die. There’s a level of dedication and craftsmanship here that I honestly haven’t found in any other game. There are multiple layers of metagame on top of normal play: unlocks that carry to every mode, achievements that earn you items that tweak the effects of other items, a calendar that gives you random bonuses on different (real time) days. Even the main menu has its own shop with its own currency. It’s nuts. The game holds up beautifully in both long and short sessions, and that plus being on a portable makes it perfect for when I’m busy. At a time when I was both writing the FTL soundtrack and working a day job, this game was my constant companion through the whole process. The fact that it’s full of Final Fantasy characters wasn’t even a consideration for me, and I skip literally every awful cutscene. It does mean the music really is great throughout though. If you want to beat stuff up and then tweak stats for ten minutes, this is the game for you. Gene’s animation is actually pretty stellar. The enemies say really weird and funny things sometimes. When the game asks me to rapidly hit a button to knee a guy in the face over and over, it really does respond to the speed at which I mash said button, with no apparent limit to how fast it will animate. The timing and combos are actually really technical and I have to pay SO MUCH attention to everything. I can pick stuff up and smash people with it, and it feels really good. Oh my god, the cutscenes are hilarious. At some point you’ll hit a stride, where you’re blazing from one enemy to the next, attacking each one like an enraged gorilla. Your brain will be in overdrive, thinking EVERYTHING MUST DIE RIGHT THIS SECOND. You will fail. Over and over. This will only make your conviction stronger and the euphoria from victory even more potent. Anyone watching you play at this point will be a little concerned with the new, murderous glint in your eye. 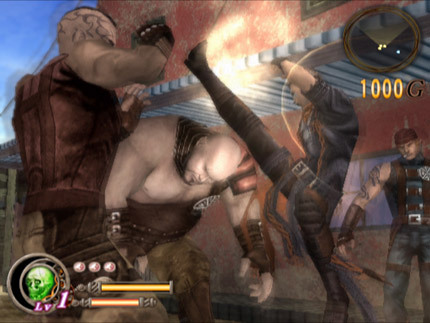 This is God Hand. One of the greatest games ever made. I’ve played a lot of Baldur’s Gate-style RPGs, and I think Jeff Vogel’s remake-of-a-remake Avernum is my favorite. Avernum cuts out a lot of the fat that I hate in RPGs: overly long yet mediocre animation, a heavy emphasis on bad storytelling, and prophecies and/or Chosen Ones. The setup goes like this: you create some characters. They’re criminals who’ve been exiled into a continent-sized underground cavern. When you arrive, you find that there are towns, cities, entire societies with governments dwelling in this world. From there everything is really up to you. Within a couple hours you’ll find that you have about a dozen intriguing leads to follow. Vogel claims that there are 3 major story lines, and he emphasizes that he doesn’t mean endings. Story lines. I haven’t played through three times, but after witnessing the immensity of this game, I believe him. The freedom you have to explore is pretty intimidating, which I believe is the point. The turn-based battles are quick, tactical and never become a slog. The writing is excellent, far greater than most games. Even witty at times. Dungeons are full of secrets and rewards. Everything is built to make sure you have fun, and it all works so well. Okay. I’m not going to lie to you. 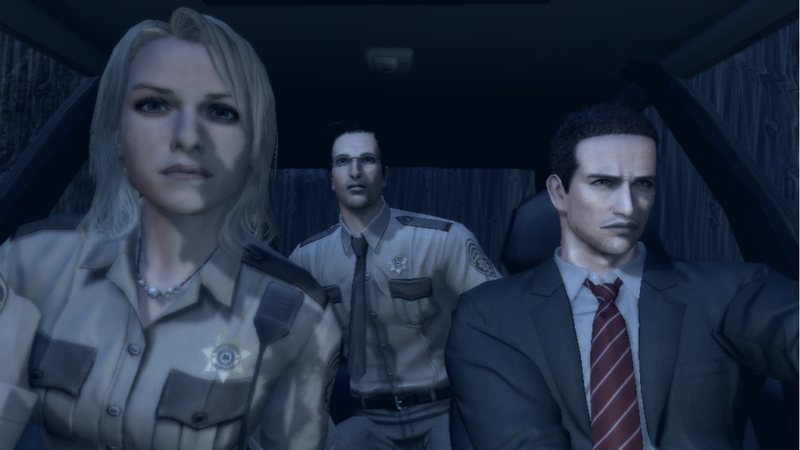 Deadly Premonition is a very clunky, awkward game. It will never win awards for the greatest game of all time. But maybe it should win an award for most interesting game. It speaks volumes about the sad state of storytelling in games when I say that Deadly Premonition’s awkward, weirdly paced, sometimes nonsensical and occasionally grotesque story is better than 99% of all other games. Agent Francis York Morgan is the most unique and interesting game protagonist of all time. Agent York is an FBI agent who arrives in a small town in the Pacific Northwest to investigate a murder. The game actually is about investigating, including interviewing the bizarre locals, peeping into houses, and learning local history. It’s essentially Twin Peaks as made by a crazy Japanese auteur. Also, you shoot many, many zombies that may or may not exist entirely in York’s imagination.